Farry said he is determined to not let the opposition derail the process and said he wants to open up dialogue with the municipalities to make a smooth and responsible transition to providing 5G connectivity for the Commonwealth. “We will continue to talk with the stakeholders (towercos, carriers, turf vendors and some municipalities) to come up with a solution,” said Farry. 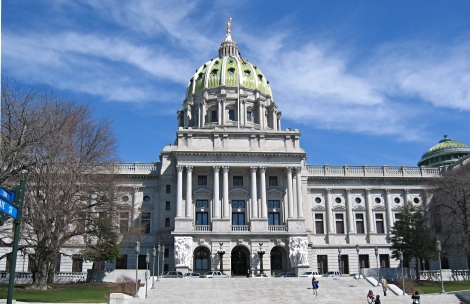 Because the bill never made it out of the state’s Consumer Affairs Committee, under the rules of the Pennsylvania General Assembly, it will have to be re-introduced at the start of the new legislative calendar in January, 2019. Farry plans to do that, but faces a tough election opponent in November, who he says is using the deployment bill as a “wedge issue” in her campaign. His opponent for the 142nd District serving the Bucks County area, Lauren Lareau, has issued statements from her campaign with visions of, “refrigerator-sized boxes placed every so often on the street.” Ferry has called it a ‘neck-and-neck’ race with his legislation being a central issue. Last month, the FCC voted to cap the rates localities can charge for small cell deployment in public rights-of-way, among other changes to ease deployment, reported Inside Towers. The agency’s changes are similar to those considered in the Pennsylvania legislation, according to The Inquirer. The agency said the new rules could save telecoms some $2 billion in costs associated with 5G deployment. Philadelphia and the Pennsylvania Association of Boroughs oppose the FCC changes.